JD and I recap Game 1 of the Dodgers Cubs Series along with recapping the Red Sox Tigers doubleheader showdown and preview game 2 of the Dodgers Cubs Series and the series finale with the Red Sox and Tigers! JD and I discuss news and notes around the NBA along with our picks for today’s NBA Playoff Games! JD and I analyze the 2019 season schedules for the Patriots Rams and Chargers and reveal our 2019 first round NFL mock draft! Vince and I recap the Dodgers Brewers series and preview the Dodgers Cubs 3 game set! Vince and I dig into the Lakers 2019 offseason plans and predict who’s winning in NBA Playoff Monday! Vince and I preview what’s in store for the offseason for the Denver Broncos and the Oakland Raiders along with our official versions of the 2019 NFL Mock Draft! Alex and I Preview what’s in store this offseason for the Panthers and Bucs along with other news and notes around the NFL! Chad and I analyze the 2019 patriots rams chargers schedules and talk about our official version of the 2019 NFL Mock Draft! Chad and I talk about who will Be the next head coach of the Lakers along with previewing upcoming playoff games! Chad and I recap tonight’s Dodgers Brewers and Astros and rangers games along with previewing tomorrow’s action for both teams! Big Baby Jonathan and i analyze the schedules for the Chargers Rams and Patriots along with our final version of the 2019 NFL Mock Draft along with other news and notes around the NFL! Big Baby Jonathan and myself Preview the saints and falcons 2019 season alone other news and notes around the Chargers! Alex and I analyze the 2019 schedules for the Patriots NY Giants LA Rams and Chargers and release our official version of the 2019 NFL Mock Draft! Alex and I Preview game 2 of the Dodgers Brewers series and preview the Mets and Cardinals series! Christina and myself make our picks for NBA playoff Friday along with other news and notes around the NBA! Abdulla and I analyze the 2019 season schedules for the Patriots Jets Rams and Chargers and release our final version of the 2019 NFL Mock Draft! Vince and I recap the Dodgers Brewers series along with game 1 of the Dodgers Reds series and a full on preview of game 2 of the dodgers reds series! Vince and I Preview what’s in store for the Tampa Bay Bucs and the Carolina Panthers this offseason along with other news and notes around the NFL! Vince and I recap the 2018-2019 NBA Season for the Lakers and what’s next for them going forward along with other news and notes around the NBA regarding the 2019 Playoffs! Daniel and I Preview the 2019 NBA Playoffs and recap the 2019 Men’s final 4 and National Title Game recap with additional news and notes around the NBA! Daniel and I recap the Lakers 2018-2019 season and talk about what’s next for them going forward along with other news and notes around the NBA! Chad and I recap game 1 of the Dodgers Brewers and Astros and Mariners series and a preview of game 2 of the dodgers Brewers and Astros and mariners series! Chad and I break down our top 5 right ends and offensive linemen heading into the 2019 season along with other news and notes around the NFL! Chad and I discuss the 2019 NFL Draft Preview with the Patriots Vikings Chargers and Rams! Chad and I recap the 2018-2019 Lakers season along with a full on preview of the 2019 NBA Playoffs along with other news and notes around the NBA! Will and I recap game 1 of the Dodgers Brewers series and Rangers and A’s series and preview game 2 of both series today along with other news and notes around the MLB! Will and i preview the 2019 NFL Draft for the Patriots Cowboys Rams and Chargers along with other news and notes around the NFL! Will and I recap the Lakers and Mavs 2018-2019 season along with a full on preview of the 2019 NBA Playoffs and a recap of the 2019 Men’s final 4 and national title game recaps! Alex and I recap the Dodgers Cardinals series Mets Twins series and Game 1 of the Mets Braves series as well as a preview of the Dodgers Brewers series and a preview of game 2 of the Mets Braves series! Alex and I Preview what’s in store for the Saints and Falcons this offseason along with other news and notes around the NFL! Christina and myself discuss the Lakers 2018-2019 season in review along with a recap of the 2019 Men’s final 4 and national title game along with a full on preview of the 2019 NBA Playoffs as well as other news and notes around the NBA! Austin and I preview the 2019 NFL Draft for the Patriots Saints Rams and Chargers along with other news and notes around the NFL! Austin and I react to Magic’s shocking step down as the Lakers president of basketball operations along with previewing the 2019 NBA Playoffs and recapping the 2019 Men’s final 4 and National Title game along with what’s next for the Lakers going forward! Vince and I preview tonight’s Laker game against the blazers along with other news and notes around the NBA! Vince and I Preview what’s in store this offseason for the saints and falcons along with other news and notes around the NFL! Vince and I recap the Dodgers Giants and Rockies series as well as a recap of game 1 of the Dodgers Cardinals series and what to expect tonight in game 2 of the 4 game set! Anthony and I recap the last 3 Laker games and preview tomorrow’s regular season finale as well as a recap of the 2019 NCAA Men’s Basketball final 4 and preview of the 2019 NCAA Men’s Basketball National Championship game! Shaun and I continue to preview Dodgers Cardinals along with previewing the 2nd series of the season between the Phillies and the Nationals! Shaun and I recap Opening Day for the Dodgers and Phillies as well as other news and notes around the MLB with a preview of the Dodgers Cardinals series opener as they play them for a 4 game set! Shaun and I continue to talk about offseason storylines and address other news and notes around the NFL! Shaun and I recap Lakers Jazz and preview tomorrow’s season finale against the Blazers along with a recap and preview of the 2019 Men’s Final 4 and National Title Game! Abdulla and I Preview what’s in store for the Saints and Falcons this offseason along with other news and notes around the NFL! Big Baby Jonathan and I talk about NBA and NFL Related news! Keith and I talk about the national title games for the men’s and women’s basketball championship along with the Lakers last 2 games preview along with other news and notes around the NBA and basketball! Keith and I Preview what’s in store for the Saints and Falcons this offseason along with other news and notes around the NFL! Keith and I recap the first 2-3 games of the dodgers and Rockies series along with the Mets Nats series and preview their upcoming showdowns in the upcoming week along with other news and notes around the MLB! Alex and I talk recap the Dodgers Giants Series and the Mets Marlins series along with a preview of the Dodgers Rockies Sunday night showdown as well as other news and notes around the MLB! Alex and I talk about what’s in store for the Titans and Jags this offseason along with other news and notes around the NFL! We talk about what are the chances if Luke Walton will return as the lakers head coach next season or not! Daniel and I recap Lakers Warriors and lakers clippers with a preview of lakers jazz tonight as well as recaps of the 2019 Men’s Sweet 16 and elite 8 along with the final 4 along with a full on preview of the 2019 Men’s Basketball national championship game! 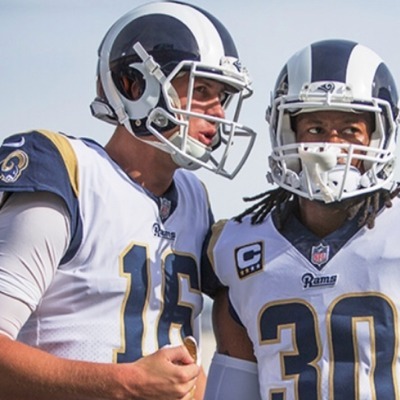 Jonathan and I talk about offseason storylines and notes around the Patriots Rams and Chargers with other news and notes around the NFL! Jonathan and I preview games 2 and 3 of the Dodgers Rockies Series and preview the Dodgers Cardinals series and a full on preview of the 2 part Dodgers Brewers NLCS Rematch Series! Jonathan and I recap Dodgers Opening Day and recap the Dodgers Giants Series and game 1 of the Dodgers Rockies series! Jonathan and I recap the last 2 Laker games against the Warriors and Clippers along with other news and notes around the NBA including the 2019 Men’s Sweet 16 and elite 8 recaps with a full on preview of the 2019 Men’s final 4 and national title game preview! Chad and I recap Opening Day for the Dodgers and Astros as well as recaps of the Dodgers Giants and Astros and rangers series along with other news and notes around the MLB include tonight’s games for the Dodgers and Astros! Chad and I break down our top 5 running backs and wide receivers heading into 2019 season along with other news and notes around the NFL! Chad and I recap Lakers Warriors Lakers Clippers with a recap of the 2019 Men’s Sweet 16 and elite 8 along with a preview of the final 4 and national game picks! Will and I recap 2019 Opening Day along with recaps of the Dodgers Giants and Rangers Astros series as well as a preview of Game 2 of the Dodgers Rockies Series and the Angels Rangers series along with other news and notes around the MLB! Will and I rank our top 5 QB’s RB’s and WR’s heading into the 2019 season and predicting who the Patriots Cowboys Rams and Chargers begin and end the 2019 regular seasons with! Will and I recap Lakers Warriors Lakers Clippers and talk about their upcoming matchups against the Jazz and Blazers along with other news and notes around basketball including a recap of the 2019 Men’s Sweet 16 and elite 8 with a full on preview of the 2019 Men’s final 4 and our picks to play in the 2019 Men’s national championship game on Monday! Christina and I recap Lakers Warriors and preview tonight’s Lakers game against the Clippers along with other news and notes around basketball with a recap of the 2019 Men’s Sweet 16 and elite 8 along with a preview of the 2019 Men’s final 4 and championship game! Abdulla and I Preview what’s in store for the jags and titans this offseason along with other news and notes around the NFL! Austin and I talk about news and notes around the NFL! Austin and I recap yesterday’s Laker game against the OKC Thunder and highlighting other news and notes around the NBA and around basketball! Keith and I Preview NBA Tuesday and a preview of the 2019 Men’s Final 4 of the NCAA Men’s Basketball tournament along with other news and notes around the NBA! Keith and I recap Opening Day for the Dodgers and Mets along with news and notes around the MLB! Vince and I Preview what’s in store for the Jags and Titans this offseason along with other news and notes around the NFL! Vince and I recap the past 2 Lakers games and preview tonight’s game against the OKC Thunder! Keith and I talk about what’s in store for the Titans and Jags this offseason along with what’s next for the Patriots NY Giants and the LA Rams and Chargers along with other news and notes around the NFL! Eosso and I talk about news and notes around the NBA! Shaun and I recap Opening Day and Preview the Dodgers Giants Series and the Phillies and Nats Series! Shaun and I talk about NFL Related news and topics around the league! Shaun and I talk about NBA related topics and news! Shaun becomes the newest member of the podcast team! Alex and I talk about what’s in store for the Colts and Texans this offseason along with other news and notes around the NFL! 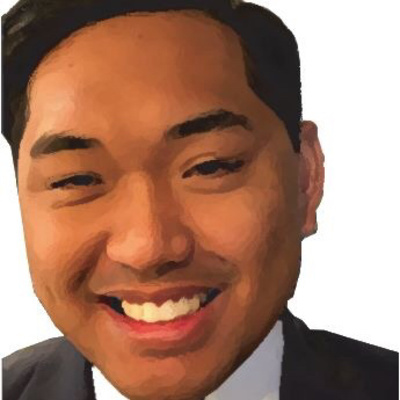 Weekly NBA Talk with Daniel Nguyen! Daniel and I recap the Lakers last games and preview tonight’s game when the purple and gold take on the Pelicans along with a Sweet 16 recap and a elite 8 preview as well as other news and notes around the NBA! Antony and I talk about the Opening Day games for the Dodgers and Marlins along with other news and notes around the MLB! Anthony and I talk about the Lakers game last night against the Charlotte Hornets along with March Madness news as well as other news and notes around the NBA! Anthony and I talk about the news and notes around the NFL along with an offseason outlook for the Texans and Colts! Will and I recap the first 2 dodger games of the 2019 season and a preview of tonight’s games agains the Dbacks in game 3 of the 4 game set! Will and I talk about news and notes around the NFL! Jonathan and I cover the Chargers and Rams on this show along with my coverage of the New England Patriots as well as other news and notes around the NFL! Jonathan and I recap the first 2 games of the 2019 season for the Dodgers and preview games 3-4 of the Dodgers Dbacks series and preview the Dodgers 3 game set against the SF Giants along with other news and notes around the MLB and the Dodgers! Jonathan and I recap yesterday’s Laker game and give our thoughts what the Lakers need to do to beat the pelicans tomorrow along with a recap of the college basketball men’s sweet 16 and a preview of the elite 8 of the 2019 NCAA Men’s Basketball Tournament! Along with other news and notes around the NBA! Jonathan Mathis becomes the newest member of the podcast team as he will be a featured reporter for the Chargers Dodgers Lakers and Rams on the Loro Antonio Sportstalk team! Chad and I talk about what’s in store this offseason for the Patriots Vikings Rams and Chargers along with other news and notes around the NFL! Chad and I recap yesterday’s Lakers game against the hornets along with a recap of the sweet 16 and a preview of the elite 8 of the 2019 NCAA Men’s Basketball Tournament along with other news and notes around the NBA! Chad Parker becomes the newest member of the Loro Antonio Sportstalk Podcast team with an introduction of himself and his sports background! Big Baby Jonathan and I talk about the chargers potentially dethroning the chiefs in the AFC West along with what’s in store for the Colts and Texans this offseason as well as other news and notes around the NFL! Abdulla and I Preview what’s in store for the Colts and Texans 2019 offseason along with other news and notes around the NFL! Abdulla and I react to Jordan Howard trade to the Eagles along with Robert Quinn trade to the Cowboys along with other news and notes around the NFL! Christina and I recap the Lakers games against the Nets Kings Wizards and Bucks along with a preview of tonight’s game against the Hornets along with a preview of the sweet 16 and the elite 8 of 2019 Men’s basketball tournament along with news and notes around the NBA! Anthony and I analyze what’s in store for the AL West Teams in 2019 along with a full on Opening Series Preview for the Dodgers and Marlins as well as other news and notes around the MLB! JD and I react to Rob Gronkowski’s decision to retire and what’s next for the Patriots for life after Gronk along with other news and notes around the NFL! JD and I talk about the Dodgers and Red Sox 4 Game Opening Series to kick off the 2019 along with other news and notes around the MLB! Austin and I share our reactions with the decision of Rob Gronkowski retiring along with news and notes around the NFL! Austin and I recap last nights Laker game against the Wizards along with a recap of the first weekend of the 2019 NCAA Men’s Basketball Tournament along with news and notes around the NBA! Vince and I preview the Dodgers 2019 season as the begin the new season with a 4 game series with the Arizona Diamondbacks along with other news and notes around the MLB! Vince and I talk about the Lakers surprising win over the Kings along with other news and notes around the NBA! Vince and I reflect on Rob Gronkowski’s retirement and what is next for the Patriots for life after Gronk along with news and notes around the NFL! Keith and I talk about the Lakers missing the playoffs for a 6th year in a row along with other news and notes around the NBA! Keith and I talk about what’s in store for the Colts and Texans this offseason along with other news and notes around the NFL! Keith and I reflect on the career of Rob Gronkowski along with previewing what’s in store for the Minnesota Vikings and Detroit Lions for the 2019 season! Keith and I discuss the Dodgers Dbacks Opening Series Preview to kick off the 2019 season as well as the Mets Nats Opening Series Preview to kick off the 2019 season as well! Keith and I talk about what’s in store for the AL East Teams in 2019 along with other news and notes around MLB with the hype and build up for Opening Day 2019! Keith and Preview what’s in store for the AL Central Teams in 2019 along with our reaction to Mike Trout receiving a lifelong contract extension with the Angels! James and I talk about yesterday’s Lakers game against the Kings along with March Madness talk and if the Lakers are tanking for a high draft pick this summer! James and I Preview what’s in store for the 2019 Dodgers and their Opening Series showdown against the Arizona Diamondbacks to begin the 2019 Season! Anthony and I Preview what’s in store for the AL Central Teams in 2019 along with other news and notes around the MLB! Anthony and I talk about the Lakers missing the playoffs for a 6th year in a row along with news and notes around the 2019 NCAA Men’s Basketball Tournament along with other news and notes around the NBA! Anthony and I Preview what’s in store for the Minnesota Vikings and the Detroit Lions in 2019 along with other news and notes around the NFL! Daniel and I talk about the Lakers missing the Playoffs for a 6th year in a row as well as the 2019 NCAA Men’s Basketball Tournament along with news and notes around the NBA! Alex and I Preview what’s in store for the AL East Teams along with a Preview of Opening Day 2019 along with other news and notes around the MLB! Alex and I talk about what’s in store for the offseason for the Detroit Lions and the Minnesota Vikings along with other news and notes around the NFL! Big Baby Jonathan and myself analyze what’s next for the Chargers in the offseason along with analyzing the team needs for the Lions and Vikings along with other news and notes around the Patriots Rams and Chargers! Big baby Jonathan and myself talk about last nights Laker game and how disappointing it is that they will miss the playoffs for a 6th year in a row along with March Madness talk along with news and notes around the NBA! Christina and I discuss the Lakers chances at a lottery pick in the 2019 NBA Draft along with our thoughts on the 2019 NCAA Men’s Basketball Tournament along with other news and notes around the NBA! Abdulla and I talk about what’s in store for the Chargers this offseason along with what’s next for the Patriots Rams and NY Jets in the offseason along with other news and notes around the NFL! Abdulla and I discuss what’s in store this offseason for the Vikings and favorite offseason moves for the Patriots Rams and Chargers! Along with other news and notes around the NFL! Ethan and I talk about what’s in store this offseason for the Patriots Rams Chargers and 49ers along with other news and notes around the NFL! Ethan and myself talk about the build up and the anticipation to the 2019 season for the boys in blue along with other news and notes around the MLB! Ethan becomes the newest member of my podcast team as he shares the team he likes and his love for sports! Ethan and I talk about the recent Laker struggles talk about the 2019 NCAA March Madness along with other news and notes around the NBA! Austin and I discuss the winners of the 2019 NFL Free Agency Period along with what’s next for the Patriots Rams and Chargers in the offseason along with a full on offseason preview of the NFC West Teams along with other news and notes around the NFL! Austin and I discuss the Lakers struggles along with the build up to the 2019 NCAA Men’s Basketball tournament along with other news and notes around the NBA! Vince and I preview tomorrow’s Dodgers and Cubs Cactus League game along with a 2019 season preview of the AL East Teams! Vince and I do a game preview of tonight’s Lakers Bucks gams along with other news and notes around the NBA Such as the build up to the 2019 NCAA Men’s Basketball tournament is on! Abdulla and I analyze what’s in store for the offseason for the Detroit Lions and what’s next for the Patriots Rams and Jets this offseason along with other news and notes around the NFL! Abdulla and I talk about other offseason storylines in the NFL along with other news and notes around the NFL! Anthony and I Preview what’s in store for the 2019 season for the AL West Teams along with other news and notes around the MLB! Anthony and I recap Lakers Pistons and preview Lakers Knicks as well as other news and notes around the NBA! Free agent fever is underway in the 2019 NFL Offseason along with other news and notes around the NFL! A full on game recaps of yesterday’s and Thursdays for the Lakers along with other news and notes around the NBA! Daniel and I recap last nights Lakers Raptors game and preview tonight’s Laker game against the Detroit Pistons along with other news and notes around the NBA! Alex and I Preview what’s in store for the AL West teams in 2019 along with other news and notes around the MLB! Free agent frenzy is underway and we talk about which team made the big splash in the first week of the new league year along with other news and notes around the NFL! Christina and I discuss yesterday’s Lakers game against the Raptors and preview tonight’s game against the Pistons along with other news and notes around the NBA! Grace and I countdown to opening day 2019 along with news and notes around the MLB! Grace and I recap last nights Laker game against the Raptors and preview tonight’s games along news and notes around the NBA! Grace and I talk about what’s in store of the new NFL League year along with news and notes around the NFL! Keith and I recap last nights Laker game against the Bulls along with other news and notes around the NBA! Keith and I talk about what’s in store for the AL West Teams along with other news and notes around the MLB! Keith and I talk about the build up about the new league year along with moves that stood out to us along with other news and notes around the NFL! JD and I talk about what’s in store for the Patriots and Rams this offseason along with other news and notes around the NFL! Abdulla and I analyze what’s in store in the 2019 NFL Free Agent Market along with reactions to AB to the Raiders LB to the NY Jets Eric Weddle to the LA Rams and OBJ to the Browns along with official team mock drafts of the New England Patriots and the LA Rams along with other news and notes around the NFL! Vince and I Preview what’s in store for the Angels A’s Astros Rangers and Mariners in 2019 along with other news and notes around the MLB! Vince and I preview tonight’s Laker game against the Bulls along with other news and notes around the NBA! Vince and I unleash on the 2019 NFL Free Agency along with my official 2019 Mock Drafts for both the New England Patriots and the LA Rams as well as whats in store this offseason for the Chicago Bears and the Green Bay Packers along with other news and notes around the NFL! Justin and I talk about the Tampa Bay Buccaneers offseason needs and we both release our mock drafts as I reveal picks 11-20 and Justin reveals picks 1-10 along with an full on free agency preview for the Patriots Rams and the Vikings as well as other news and notes around the NFL! Justin and I do a full on recap of the 2019 draft combine and preview what’s in store this offseason for the Atlanta Falcons Carolina Panthers and the New Orleans Saints along with other news and notes around the NFL! Anthony and I recap last nights Laker game against the Celtics along with other news and notes around the NBA! Anthony and I react to the AB Trade to the raiders along with what’s in store this offseason for the Cleveland Browns and the Cincinnati Bengals along with other news and notes around the NFL! Big Baby Jonathan and I talk about what’s in store for the Cincinnati Bengals and the Cleveland Browns this offseason along with other news and notes around the NFL! Big Baby Jonathan and I preview tonight’s Laker game against the Boston Celtics along with other news and notes around the NBA! Abdulla and I talk about what’s in store for the Cleveland Browns and the Cincinnati Bengals this offseason along with other news and notes around the NFL! Daniel and I preview tomorrow’s Lakers Celtics game along with tonight’s game for the Raptors against the Pelicans along with other news and notes around the NBA! Alex and I talk about what’s in store this offseason for the Cleveland Browns and the Cincinnati Bengals along with a full on preview of what’s to come in 2019 Free Agency as well as other news and notes around the NFL! Alex and I react to the Bryce Harper signing with the Phillies and breakdown what’s in store for the Phillies and Marlins in 2019 along with other news and notes around the MLB! Ian and I talk about what’s in store for the New England Patriots Cleveland Browns and LA Rams this offseason along with other news and notes around the NFL! Ian and I Preview tomorrow’s Lakers Celtics game and talk about tonight’s game for the Cavs against the Miami Heat along with other news and notes around the NBA! Ian becomes the newest member of my podcast team as he talks about his love for sports and his background info! Grace and I preview tomorrow’s Lakers Celtics Game along with other news and notes around the NBA! Keith and I continue our game day preview for the Lakers against the Denver Nuggets along with other news and notes around the NBA! Keith and I talk about the Lakers struggles and what they need to do tonight against the Denver Nuggets! Keith and I talk about the reaction of Bryce Harper to the Philadelphia Phillies along with previewing what’s in store for the Phillies and Marlins in the 2019 season along with other news and notes around the MLB! Austin and I recap the 2019 NFL Scouting combine along with what to expect in Free Agency next week along with news and notes around the NFL! Austin and I preview tonight’s Laker game against the Denver Nuggets along with other news and notes around the NBA! Jordan and I Preview what’s in store for the 2019 season for the NL Central and NL East Teams along with other news and notes around the MLB! Jordan and I Preview what’s in store this offseason for the AFC and NFC North Teams along with other news and notes around the NFL which includes a full on recap of the 2019 scouting combine and our 2019 NFL Mock Draft is released! Jordan and I preview tonight’s games for the Lakers and wizards along with other news and notes around the NBA! Vince and I recap the Lakers disappointing loss to the Clippers last night and preview tomorrow’s game against the Denver Nuggets and an early preview of round 2 of the Lakers Celtics rivalry on Saturday along with other news and notes around the NBA! Vince and I analyze what’s in store for the Cincinnati Bengals and the Cleveland Browns in the 2019 offseason along with a full on recap of the 2019 scouting combine along with other news and notes around the NFL! Vince and I Preview what’s in store for the Miami Marlins New York Mets and the Philadelphia Phillies in 2019 along with other news and notes around the NFL! Justin and I talk about what’s in store for the offseason for the NFC East and AFC North Teams along with our thoughts on the 2019 NFL Scouting Combine along with other news and notes around the NFL! Anthony and I recap the Lakers disappointing loss to the Phoenix Suns and the Milwaukee Bucks along with other news and notes around the NBA! Anthony and I talk about what’s in attire for the Atlanta Braves and the Washington Nationals in 2019 along with other news and notes around the NFL! Anthony and I talk about what’s in store at the 2019 NFL Draft Combine along with what the offseason needs are for the Baltimore Ravens and the Pittsburgh Steelers in 2019 along with other news and notes around the NFL! Big Baby Jonathan and I analyze what’s in store for the Baltimore Ravens and the Pittsburgh Steelers in the 2019 offseason along with other news and notes around the NFL! Big Baby Jonathan recap last nights Laker game against the Milwaukee Bucks and preview tonight’s game against the Phoenix Suns along with other news and notes around the NBA! Daniel and I preview tonight’s games with the Lakers and Raptors along with other news and notes around the NBA! Christina and I discuss the Lakers upcoming game against the Raptors along with the Raptors upcoming game against the Portland Trail Blazers along with other news and notes around the NBA! Grace and I talk about news and notes around the NFL! Grace and I preview tonight’s Laker game against the bucks and recap the other laker games in the past along with other news and notes around the NBA! Grace and I preview what’s in store for the NL Central and NL East Teams in 2019 along with other news and notes around the MLB! Keith and I discuss what the Lakers need to do to beat the Pelicans tonight along with other news and notes around the NBA! Keith and I Preview what’s in store for the Atlanta Braves and the Washington Nationals in 2019 along with other news and notes around the MLB! Austin and I discuss what’s in store this offseason for the NFC East NFC North and the AFC North teams along with free agent/draft targets for the Patriots Rams and Saints along with what to expect at the 2019 scouting combine with other news and notes around the NFL! Austin and I preview tonight’s Lakers Game against the Pelicans with other news and notes around the NBA! Alex and I Preview what’s in store for the 2019 offseason for the Baltimore Ravens and the Pittsburgh Steelers along with other news and notes around the NFL! Alex and I preview the 2019 seasons of the Atlanta Braves and the Washington Nationals along with other news and notes around the MLB! Jordan and I talk about what’s in store for the NL West and AL East Teams in 2019 along with other news and notes around the MLB! Jordan and I do a brief recap of Super Bowl 53 along with outline the offseason for the AFC East NFC East and the NFC West teams in 2019 along with other news and notes around the NFL! Jordan and I preview tonight’s Lakers game against the pelicans along with other news and notes around the NBA! Jordan officially becomes the newest member of my podcast team as he and I do an inaugural episode to get to know each other about what sports we follow and what teams we like! Vince and I analyze what’s in store for the Baltimore Ravens and the Pittsburgh Steelers in the 2019 offseason along with other news and notes around the NFL! Vince and I recap the Lakers 2 disappointing losses to the Pelicans and the Grizzlies and what they need to do for them to get their season back on track to make a late playoff push along with other need and notes around the NBA! Vince and I recap the first 3 Cactus League games for the Dodgers along with preview the upcoming ones for the boys in blue along with where will Bryce Harper end up playing with in 2019 with a full on preview with what’s in store for the Atlanta Braves and the Washington Nationals in 2019 with other news and notes around the MLB! JD and I analyze what’s in store for the 2019 offseason for the Patriots and the LA Rams along with other news and notes around the NFL! Abdulla and I talk about what’s in store this offseason for the Baltimore Ravens and the Pittsburgh Steelers and what they need to do to be good in 2019 along with other news and notes around the NFL! Alex and I discuss what’s in store for the offseason for the cowboys redskins and eagles along with other news and notes around the NFL! Alex and I discuss what’s in store for the Reds and Pirates in 2019 along with a full on Cactus/Grapefruit league seasons for the Dodgers and Mets along with other news and notes around the MLB! Big Baby Jonathan and I outline our early Super Bowl 54 predictions along with other news and notes around the NFL! Big Baby Jonathan and I talk about the teams needs for the AFC and NFC East Teams in 2019 along with breakout candidates for the Patriots Rams and Chargers in 2019 along with an early on preview of what free agent/draft targets for the Patriots Rams and Chargers with other news and notes around the NFL! Big Baby Jonathan and I recap Lakers Rockets/Preview tonight’s Laker game against the Pelicans along with a recap of the 2019 NBA All Star Weekend with other news and notes around the NBA! Anthony and I recap the 2019 NBA All Star Weekend with a full on game recap when the Lakers came from behind to beat the Rockets along with other news and notes around the NBA! Anthony and I analyze what’s in store for the Reds and Pirates in the 2019 season along with other news and notes around the MLB! Anthony and I analyze what’s in store for the Brewers Cardinals and Cubs in 2019 along with other news and notes around the MLB! Anthony and I analyze what’s in store for the NFC East Teams in 2019 along with other news and notes around the NFL! Daniel and I recap the 2019 NBA All Star Weekend along with a Lakers game recap against the Rockets with other news and notes around the NBA! Christina and I recap 2019 NBA All Star Weekend with a recap of last nights Laker game against the Rockets with other news and notes around the NBA! Grace and I talk about the team needs for the Patriots Cowboys Texans and Rams in 2019 as well as other news and notes around the NFL! Grace and I recap the Lakers Game against the Rockets along with a recap of the 2019 NBA All Star Weekend along with other news and notes around the NBA! Grace becomes the newest member of our podcast team as an NBA NFL and MLB analyst as we both get to know her in this intro segment! Justin and I talk about other team needs for the AFC East NFC North and NFC West along with other news and notes around the NFL! Justin and I recap Super Bowl 53 along with what the Patriots and Vikings need to work on in the offseason along with other news and notes around the NFL! Justin Martes from the one mic for all podcast joins my podcast team as an NFL insider and he talks about what his favorite NFL team is and what to accomplish when he’s on air for my NFL Shows! James and I recap the 2018-2019 NBA All Star Break along with what the Lakers need to work on in the 2nd half of the 2018-2019 season with a full on game preview for tonight’s Laker game against the Houston Rockets along with other news and notes around the NBA! James and I recap Super Bowl 53 between the Patriots and Rams as well as what they need to this offseason to play in the Super Bowl again along with other news and notes around the NFL! James and I preview what’s in store for the Dodgers in 2019 as we analyze the state of the roster, biggest/dumbest offseason moves that they did in the offseason along with who there breakout players will Be in 2019 along with 10 teams that were looking forward to seeing in 2019 along with other news and notes around the MLB! Keith and I recap the 2019 NBA All Star Weekend along with what’s in store for the Lakers in the 2nd half of the 2018-2019 NBA Season with a full on game preview when the Lakers take on the Houston Rockets tomorrow night with other news and notes around the NBA! Keith and I talk about what’s in store in the 2019 offseason for the Dallas Cowboys Philadelphia Eagles and the Washington Redskins as we talk about what their team needs are in the 2019 season along with our early version of the 2019 NFL Mock Draft with other news and notes around the NFL! Vince and I discuss what’s in store for the Dallas Cowboys Philadelphia Eagles and the NY Giants in the 2019 Offseason along with draft targets for the Patriots LA Rams and the 49ers along with other news and notes around the NFL! Vince and I recap the 2019 NBA All Star Weekend along with what are the goals for the Lakers in the 2nd half of the 2018-2019 season for the Lakers along with other news and notes around the NBA! Alex and I discuss the team needs for the Miami Dolphins New York Jets and the Buffalo Bills in 2019 along with other news and notes around the NFL! Alex and I preview what’s in store for the Milwaukee Brewers St Louis Cardinals and the Chicago Cubs in the 2019 along with Spring Training Previews of the Dodgers and Mets with other news and notes around the MLB! Keith and I do a full on preview of the 2019 NBA All Star Weekend with a Lakers game recap against the Hawks with assessing their first half of the season with other news and notes around the NBA! Keith and I preview what’s in store for the upcoming offseason for the Miami Dolphins NY Jets and the Buffalo Bills along with other news and notes around the NFL! Keith and I discuss what’s in store for the Dodgers and Mets heading in spring training along with other breakout players on each team heading into 2019 along with other news and notes around the MLB! Daniel and I recap the Lakers disappointing loss to the Hawks and assess the first half of the 2018-2019 seasons for the Lakers and Raptors and preview what’s in store for the Raptors and Lakers in the 2nd half of the 2018-2019 season along with a full on preview of the 2019 NBA All Star Weekend with news and notes around the NFL! Christina and I recap the Lakers Hawks game along with assessing the first half of the 2018-2019 seasons of the Lakers and Raptors along with a full on preview of the 2018-2019 NBA All Star Weekend! Abdulla and I release our first 7 picks in the 2019 NFL Mock Draft along with additional news and notes around the NFL! Abdulla and I talk about what the Bills and Dolphins needs are for the 2019 along with other news and notes around the NFL! Austin and I recap the Lakers game against the Atlanta Hawks along with what they need to work on for the 2nd half of the 2018-2019 seasons with a full on preview of the 2019 NBA All Star Weekend with other news and notes around the NBA! Austin and I outline the 2019 offseason needs for the NFC South and West Teams along with other offseason news and notes around the NFL! Austin becomes the newest member of my podcast team as the NBA and NFL Analyst as we get to know each other and talk about the teams we like! Vince and I discuss news and notes around the NFL Offseason along with other news and notes around the league! Vince and I recap the Lakers game against the Sixers and Celtics along with which team won the trade deadline along with previewing tonight’s Laker Game against the Atlanta Hawks with a full on preview of the 2019 NBA All Star Weekend with other news and notes around the NBA! Vince and I Preview the 2019 seasons for the Milwaukee Brewers St Louis Cardinals and the Chicago Cubs today along with other news and notes around the MLB! Big Baby Jonathan and I recap Super Bowl 53 and also talk about what’s in store for the Patriots Rams and Chargers this offseason and what they need to do to get back into being a championship contending teams in 2019 along with other news and notes around the NFL! Big Baby Jonathan and I recap the past 2 Lakers games against the Celtics and Pacers and preview the next 2 Lakers games against the Sixers and Hawks along with other news and notes around the NBA with an early preview of the 2019 NBA All Star Weekend! Anthony and I recap the Lakers and Celtics game along with a brief recap when the Lakers lost to the Pacers! Plus we preview the Lakers upcoming matchup against the Philadelphia 76ers along with an early preview of 2019 NBA All Star Game Weekend with other news and notes around the NBA! Weekly MLB Talk with Anthony King Newton! Anthony and I recap Super Bowl 53 along with predicting what’s in store for the Patriots Dolphins and Rams this offseason heading into 2019 along with other news and notes around the NFL! Daniel and I recap last nights Laker game against the Celtics along with their disappointing loss to the Pacers along with previewing Sunday’s matchup against the Philadelphia 76ers with an early preview of the 2019 NBA All Star Game Weekend along with other news and notes around the NBA! Christina and I recap Super Bowl 53 along with what’s in store for the Patriots and Rams this offseason heading into the 2019 season along with other news and notes around the NFL! Weekly NBA Talk With Christina Rockson! Christina and I recap yesterday’s Lakers Game against the Boston Celtics and recap their game against the Pacers along with preview their game on a Sunday against the Philadelphia 76ers along with an early preview of the 2019 NBA All Star Game with other news and notes around the NBA! Abdulla and I recap Super Bowl 53 and talk about the offseason needs for the Patriots Rams and the Jets along with other news and notes around the NFL! Keith and I preview tomorrow’s Lakers Celtics Games as well as recapping last nights game against the Pacers along with other news and notes around the NBA! Keith and I preview the 2019 seasons of the Arizona Diamondbacks and the Colorado Rockies as well as break out players for each team in the NL West along with other news and notes around the MLB! JD and I recap Super Bowl 53 along with comparing it to the NBA’ Version of the LA/Boston Rivalry along with other news and notes around the NFL! Vince and I preview tonight’s Laker game against the Pacers along with previewing Thursdays game against the Boston Celtics and the Philadelphia 76ers along with other news and notes around the NBA! Vince and I continue to get our audience built up and the excitement for the 2019 MLB Season as we analyze what’s in store for the Arizona Diamondbacks and the Colorado Rockies in 2019 along with other news and notes around the MLB! Vince and I recap Super Bowl 53 and talk about what the Patriots and Rams need to do this offseason to potentially meet again in Super Bowl 54 down in South Florida in 2020 as well as other news and notes around the NFL! Big Baby Jonathan and I preview tonight’s Lakers game against the warriors along with recapping their games against the Clippers and Suns! We also talk about the Lakers potentially trading for Anthony Davis along with other news and notes around the NBA! Anthony and I recap yesterday’s game between the Lakers and Clippers as well as previewing the Lakers Saturday night game against the Golden State Warriors! Along with other news and notes around the NBA! Anthony and I preview the 2019 seasons with the San Diego Padres and the San Francisco Giants as well as discussing news and notes around the MLB! Anthony and I preview the Dodgers and Marlins 2019 seasons and talk about other news and notes around the MLB! Anthony and I Preview Super Bowl 53 between the New England Patriots and the LA Rams as well as talking about other news and notes around the NBA! Keith and I preview the SF Giants and SD Padres 2019 Seasons as well as news and notes around the MLB! Keith and I preview Super Bowl 53 between the Patriots and Rams and predict who wins between my AFC and NFC teams along with other news and notes around the NFL! Daniel and I kick off our first weekly NBA Talk Episode as we recap yesterday’s Laker game against the clippers with a brief recap against the Sixers along with other news and notes around the NBA! Daniel Nguyen becomes the newest member of my Podcast Team as the NBA Insider as we get to know each other in this segment! Alex and I preview Super Bowl 53 between the Patriots and the LA Rams as well as a brief recap of the 2018 Pro Bowl and officially predict who will headline the 2019 Pro Football Hall of Fame Class with other news and notes around the NFL! Abdulla and I preview Super Bowl 53 as we analyze what’s in store for the New England Patriots and the LA Rams heading into the big game on Sunday! As well as other news and notes around the NFL! James and I talk about the possibilities of the Lakers gettin AD as well as the Mavs making a blockbuster deal with the New York Knicks to land Kristaps Porzingis as well as previewing tonight’s Laker game against the clippers with a brief recap against the Sixers as well a previewing the teams Saturday night matchup against the Warriors! James and I preview Super Bowl 53 between the New England Patriots and the LA Rams as well as talking about other news and notes around the league! JD and I preview Super Bowl 53 between the Patriots and LA Rams as we break down the player spotlights and predict the final score of that game as well as other news and notes around the NFL such as predicting the 2019 Pro Football Hall of Fame Class and what to expect in the 2019 NFL Honors Show! Vince and I preview tonight’s Lakers game against the Sixers and recap their game against the Suns on Sunday as well as game previews with the Clippers and Warriors along with that we discuss news and notes around the NBA! Vince and I preview the SF Giants and SD Padres 2019 seasons as well as talking about other news and notes around the MLB! Vince and I recap the 2019 Pro Bowl as well as doing the official game day preview of Super Bowl 53 between the Patriots and the LA Rams along with other news and notes around the NFL! Here is my first of many weekly Dodger talk episodes with Carlos Andres Castillo as we begin the All 30 MLB Previews for the 2019 season with the Dodgers as we breakdown what’s in store for them in 2019! Along with other news and notes around the MLB! Carlos Andres Castillo becomes the newest member of my podcast team as my Dodgers insider as we do an intro episode to get to know each other and talk about our love and passion for the boys in blue! Keith and I preview tonight’s Laker game against the Phoenix Suns and also discuss news and notes around the NBA! Keith and I recap the 2019 AFC and NFC Title Game as well as recapping the 2019 Pro Bowl with a mini Preview of Super Bowl 53 between the Patriots and Rams along with predicting the 2019 Pro Football Hall of Fame Class as well as other news and notes around the NFL! Keith and I preview the Dodgers and Mets 2019 seasons as well as talk about other news and notes around the MLB! Vince and I recap the 2018-2019 AFC and NFC Title Game as well as previewing the 2019 Pro Bowl and Do a Part 1 Game Preview of Super Bowl 53 as well as other news and notes around the NFL! Vince and I discuss NBA Saturday and discuss what the Lakers need to do to beat the Phoenix Suns and Philadelphia 76ers along with other news and notes around the NFL! Vince and I begin the 2019 All 30 MLB Preview with the LA Dodgers and what’s in store for the boys in blue in 2019 and also discuss news and notes around the MLB! Vince becomes the newest member of my podcast team as he and I do an intro segment and will be a lakers and dodgers insider as well as an NFL insider on my episodes as well! Jonathan and I recap the 2019 AFC and NFC Title Games as well as preview the 2019 Pro Bowl and a part 1 preview of Super Bowl 53! We also predict the 2019 Pro Football Hall of Fame Class as well as other news and notes around the NFL! Jonathan and I discuss the Lakers struggles and recap their matchup against the T-Wovles and preview their matchups against the Phoenix Suns and the Philadelphia 76ers as well as other news and notes around the NBA! Jonathan becomes the newest member of my podcast as he is officially the laker insider and NFL insider for me! Here’s a intro segment for you guys to listen to as we get to know each other! James and I recap the Lakers game against the T-Wolves and preview their matchups against the Suns and Sixers as well as other news around the NBA along with Lebron and the Greek Freak being the captains for the 2019 NBA All Star Game! James and I recap the 2019 AFC and NFC championship game as well as an early preview of Super Bowl 53 between the Patriots and the LA Rams along with previewing the 2019 Pro Bowl and predicting the 2019 Pro Football Hall of Fame Class! James and I kick off the 2019 All 30 MLB Preview as we discuss the Dodgers 2019 Season along with the addition of AJ Pollock to the teams everyday lineup! We predict what the 25 man roster will look like for the Dodgers heading into the 2019 season as well as who will be penciled into the Dodgers Opening Day Lineup to kick off the 2019 season! We also discuss other news and notes around the MLB! Alex and I recap the 2019 AFC and NFC Games and preview Super Bowl 53 between the Patriots and Rams along with other news and notes around the NFL! Alex and I kick off the 2019 All 30 MLB Preview as we preview the Dodgers and NY Mets 2019 seasons as well as discussing other news around the MLB! Christina and I recap last nights Laker Game against the T-Wolves and preview their matchups against the Suns and Sixers! We also discuss about Lebron being an all star captain for a 2nd year in a row along with other news around the NBA! Abdulla and I recap a wild weekend of the 2019!AFC and NFC Title Game as well as talk about the 2019 Pro Bowl and do a Part 1 preview of Super Bowl 53 between the Patriots and the LA Rams! We also outline the 2019 Pro Football Hall of Fame Class and talk about other news around the NFL! Christina and I recap the 2019 AFC/NFC Title Games as well as preview Super Bowl 53 and talk about the 2019 Pro Bowl! Christina and I recap the Lakers games against the Warriors and Rockets along with previewing games against the T-Wolves and Suns! We outline who will win the 2018-2019 NBA Awards as well as who will be playing in the 2019 NBA Finals along with previewing the 2019 NBA All Star Game! Anthony and I preview the 2019 AFC Title Game as well as an early preview of the 2019 Pro Bowl as well as our official predictions who will play Super Bowl 53 down in Atlanta! We also discuss the 2019 Pro Football Hall of Fame Class as well as other news around the NFL! James and I preview the 2019 AFC and NFC Title Game as well as an early preview of the 2019 Pro Bowl as well as an early outline of the 2019 Pro Football Hall of Fame Class! Along with other news around the NFL! James and I discuss the potential Breakout players for the Dodgers in 2019 as well as where will Bryce Harper and Manny Machado will suit up in 2019 as well as our official outline of the 2019 MLB Awards as well as which team will finish worse to first in 2019! Weekly MLB Talk with Alex Christ! Alex and I discuss the latest offseason news around the MLB as well as where will Bryce Harper and Manny Machado will end up in 2019 along with the breakout players for the NY Mets and the Dodgers! Abdulla and I preview the 2019 AFC and NFC Title Game as well as previewing the 2019 Pro Bowl and predicting who will play in Super Bowl 53 in Atlanta as well as news and notes around the NFL! The Newest member of my podcast team Abdulla does an intro segment on this show and tells about him self on how and why he became a New York Sports fan! Keith and I recap today’s Lakers game against OKC as well as preview games against the Rockets and Warriors as well as recapping games against the Cavs and Bulls! We revise our predictions of the 2018-2019 NBA Awards as well as our official prediction of who will play in the 2019 NBA Finals as well as what he and will will talk about next week for the Dodgers Lakers Rams and Patriots Podcast! Keith and I predict where Bryce Harper and Manny Machado will suit up in 2019 as well as the Yankees signing of Adam Ottavino and how the Yankees bullpen looks great on paper as well as breaking down our official pick of the 2019 MLB Awards! Keith and my self preview the 2019 AFC and NFC Title Games as well as predicting who will play in Super Bowl 53 down in Atlanta! We also do an early preview of the 2019 pro bowl as well as predict the 2019 Pro Football Hall of Fame Class! Keith and I talk about the the games and latest news around the NBA along with outlining our picks to be the team captains for the 2019 NBA All Star Game as well as predicting who brings home the hardware for the 2018-2019 NBA Awards! Keith and I talk about news around the MLB as well as expectations for the Dodgers and Mets as well as where Harper and Machado will sign for the 2019 season! Keith and I preview the Divisional round of the 2018-2019 NFL Playoffs as well as making our predictions of who will play in the NFC and AFC Title game with our reactions to the head coach hires for the non playoff teams heading into the 2019 season along with our predictions for who wins the 2018-2019 NFL Awards! Keith becomes the newest member of my podcast team as he and get to know each other through this segment as we talk about the teams and the sports we follow! Anthony and I talk about news and games around the NBA such as early favorites to win the 2018-2019 NBA Awards! Anthony and I talk about the latest news around the MLB Offseason as well as the Dodgers getting Russell Martin back as well as if the Marlins are going to trade JT Realmuto or if he will remain a Marlin! Also I predict where Bryce Harper and Manny Machado will sign this winter! JD and I talk about today’s Laker game against the Jazz and news around the NBA along with the progress report on the Lakers and Celtics Season! JD and I preview the NFL Divisional Round of the 2018-2019 NFL Playoffs as well as recap the future stars in the NFL in the College Football National Title Game between Clemson and Alabama and other news around the NFL along with such final 4 teams will be playing the the AFC and NFC Championship Games with a trip to Super Bowl 53 on the line! Alex Christ and I talk about the NFL Playoffs and news around the league as well as MLB offseason news and what the remaining needs are for both the Dodgers and the NY Mets prior to the 2019 season! James and I preview the 2018-2019 NFL Playoffs for the Patriots and Rams as well as playing with what the Dodgers 2019 roster will look like as well as news around the Lakers and the NBA! Alex Christ who is now a new member of my podcast team talks about his take about the NFL Playoffs,MLB Offseason and does a game preview with me when the Lakers take on the Knicks tonight! JD and I talk about the 2018-2019 NFL Playoffs along with predicting who will play in Atlanta for Super Bowl 53 and talk about the 8 head coaching vacancies that will be filled prior to the 2019 season we address MLB offseason news on where Bryce Harper and Manny Machado will end up in 2019 and talk about news and games around the NBA! James and I talk about the NFL’s Regular Season Finale Games plus MLB offseason headlines and weekly NBA Games! JD and I talk about the weekly NFL NBA and MLB news. In this episode we recap week 16 of the 2018 NFL Season and preview Week 17 of the 2018 NFL Season and discuss who punches their ticket to the Playoffs along with the NBA Christmas games and the big names that will land with new teams for the upcoming 2019 baseball season. JD and I preview the Pats Vikings game as we recap the Pats Jets game as well! JD and myself talk about the news around the NFL and recaps the games in week 11 and 12! I talk about weekly updates on my favorite sports teams!